The majority of home owners who bought a property in the last 12 months said they would use a broker if they were securing their first mortgage, new research has found. Overall 81% recognised the value of a broker and 75% of first time buyers said they expect to use a broker when looking for a mortgage according to the survey from the Legal & General Mortgage Club. It also found that 71% would seek advice from a broker if they had a poor credit history while 62% would turn to use a broker if they were self-employed or worked as a contractor and 67% said they would be likely to speak to a broker about buy to let mortgages. For those who had made a recent purchase, 53% of all respondents used a mortgage broker because it gave them access to a wider range of mortgage deals. The results correspond with the improved product choice that brokers offer, providing consumers with access to 30,482 products compared to only 3,408 for those who go direct. The research also suggests that consumers are turning to brokers for a straightforward, painless mortgage application. Some 33% of respondents said using a broker removed the hassle of filling out forms and applications, whilst 36% said that using a broker provided them with reassurance of talking to someone. 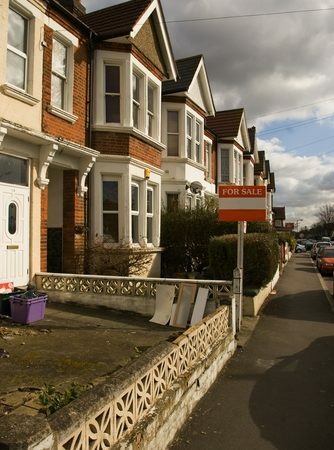 ‘These figures should come as a positive message for mortgage brokers across the UK, showing that there is clearly a recognition amongst consumers about the value of professional advice, whether they are an existing homeowner, a first-time buyer, a borrower with a complex income or a prospective landlord,’ said Kevin Roberts, director of the Legal & General Mortgage Club. ‘For first time buyers in particular, the process of buying a home and securing their first mortgage can be a daunting one. By speaking to a broker, these buyers won’t just benefit from the knowledge and insight that an intermediary can offer, but will also have access to thousands of great mortgage deals to fit their needs,’ he explained. ‘However, while this is clearly positive news, there are still buyers out there that either remain unware of the role of a broker or who have misconceptions about the value they can provide. As an industry, we need to reach out to these consumers and use campaigns to showcase the important role that brokers play in helping borrowers across the UK,’ he added.